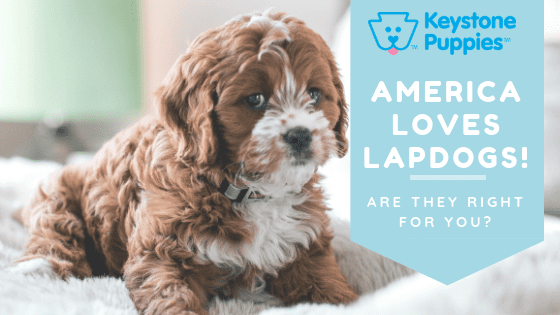 Home Blog Choosing a Breed America Loves Lapdogs! Love cuddly pups? Want a cute little dog who wants lots of attention? Lapdogs may be for you. “Lapdog” is an informal term for small dogs that are small and super snuggly. More formally, the term lapdog refers to a variety of companion breeds with a gentle temperament, and a loving and obedient nature. These pups are usually relaxed dogs who do not crave long periods of energetic exercise. Instead, Lapdogs offer their owners warmth, comfort, and a sweet companion that prefers to stay close. They are an excellent choice for families that can spend a lot of time with the dog and may be a smart choice for owners who don’t have the time or space to provide lots of vigorous physical activities for their pup. Lapdogs have an incredibly long history. Lapdogs show up in ancient writings and art as early as 2,000 BC when the tiny Maltese breed was documented on the Italian island of Malta. The Pekingese has been traced back as 2,000 years in China. 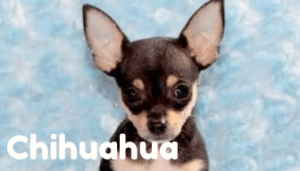 Chihuahuas have an uncertain history, but evidence of Chihuahuas can found in Mexico as far as ancient Mayan times. Until recent times, being able to afford a non-working dog as a companion was a luxury that few could afford. Perhaps this is why these small dogs were known as palace dogs, the dogs of kings, or the dogs of nobility for much of history. Legend says aristocratic owners used lapdogs to keep warm in chilly castles. Renaissance France called Miniature Poodles “sleeve dogs” because they traveled with their owners perched in the large sleeves popular at the time. 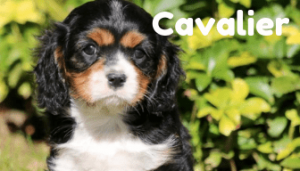 The Cavalier King Charles Spaniel even has King in its name and is descended from the special breed of lap dogs made famous in paintings of nobility in the time of King Charles II. For hundreds of years, the Japanese were especially strict about dog ownership, and only noble blood could own the Japanese Chin. The Coton de Tulear is known as the “royal dog of Madagascar,” because it was favored by the ruling monarchy in Madagascar since the 1700s. Pugs are a popular lapdog and were documented by Confucius as early as 551 B.C. 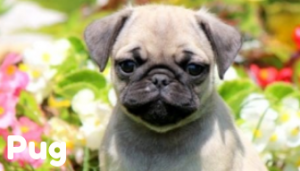 Pugs were prized possessions of Chinese emperors for centuries. Shih Tzus have also been portrayed in Chinese art for hundreds of years and were famous for being carefully bred by China’s Dowager Empress Tzu in the 1800s. For modern home and apartment dwellers, for older dog owners, and for families looking for pups with gentle, loving natures, a lovable lapdog may be a good fit. Today, there are even more lapdogs to love. Thanks to the popularity of designer breeds, many breeders have been combining the traits of two or more beloved breeds. New lapdog breeds offer new sets of characteristics and qualities especially well-suited to the lifestyles of today’s dog owner. 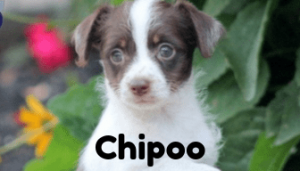 The Chi-Poo is an adorable mix between a Chihuahua and a Miniature Poodle Their lapdog temperament also comes with a lot of energy. 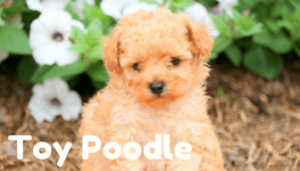 Popular poodle mixes produce less dander, making them a better choice for those with allergies. 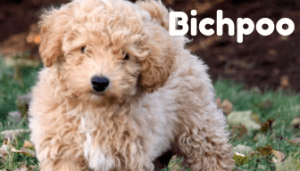 Havapoos, Poochins, Maltipoos, and Bichpoos are more examples of designer breeds that mix small lapdog lovability with the more playful natures of Havenese, Japanese Chins, Maltese, and Bichon Frise. 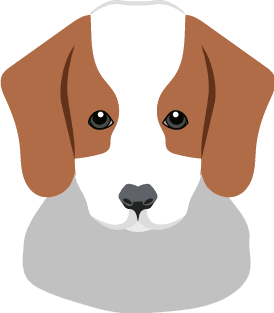 While mixing lapdog breeds with small dogs from the hunting, herding and guard dog categories offers many advantages, there are also a wide range of popular designer breed mix the best of two lapdog breeds to produce pups such as Chi-Poos, Cava Tzus, Cavachons, Cavatese, Cavapoos, Havashus, Havapoos, Poochins, Mal-Shis, Maltichons, Bichpoos, and Peke-a-Chons. Is a Lapdog Right for You? While each breed is a little different, follow these guidelines to find out if a lapdog may be right for you. Need Attention: Lapdogs need lots of time with their owners. They get lonely easily and do not like to spend long periods of time on their own. Laid Back: If you’re looking for a pup to hike through the mountains, lapdogs might not be your best choice. But if you enjoy short walks, limited exercise periods or gentle play, take a look at lapdogs. Indoor Dogs: Lapdogs have been bred to live indoors. While they are happy on outrings, they are not bred to live outdoors, and should never be relegated to a doghouse, an unheated garage, or a shed. Furniture Friendly: Lapdogs like to lie on owner’s laps or by their side. Lapdog owners should be okay with dogs getting on the furniture. Gentle Touch: Lapdogs are small and can be hurt easily by larger pets or children who are too young to be careful around small animals. Make sure you’re able to provide a safe environment for these tiny companions. Ready to Travel: Because lapdogs are attached to their owners, they often dislike going to kennels during vacations. If you’re able to travel with your pup, these breeds are a good choice. Lapdogs left with friends or family may become depressed or despondent without their beloved owner. Keystone Puppies cares about the well-being of every dog. Before you select a breed puppy, make sure you are choosing a pup that will be happy in your home and fits in well your lifestyle. If you haven’t decided which breed of dog is right for you, research over 200 breeds here. 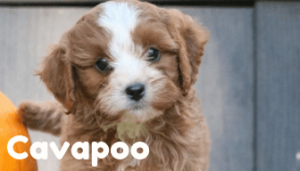 Want to search for your new puppy now? Click here to get started.